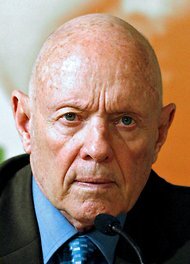 Best selling author and self-help guru Stephen Covey passed away last week. His book, The 7 Habits of Highly Effective People, first published in 1989, has sold more than 20 million copies worldwide. You can learn about Covey’s 7 habits and also check out more of his other best selling books at the Tunxis Library, in print or on audio CD. This entry was posted on July 23, 2012 at 11:38 am and is filed under Uncategorized. You can subscribe via RSS 2.0 feed to this post's comments. You can skip to the end and leave a response. Pinging is currently not allowed.